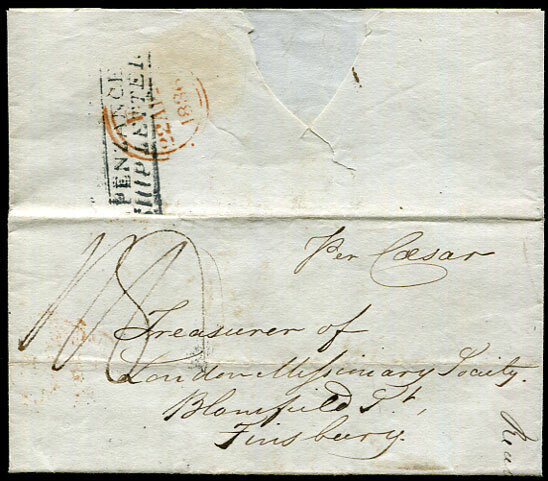 1836 entire headed "George Town Demerara March 10th 1836" and marked "per Caesar" to Finsbury, London rated 1/8, landed with PENZANCE/SHIP LETTER being an unusual choice of entry for BWI letters. 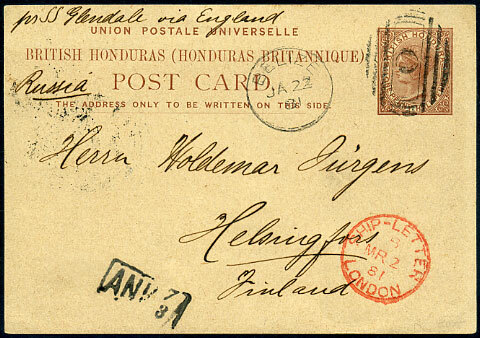 1882 use QV 1½d red-brown Post Card "per Zoe" to London with design pmk'd open bootheel duplex dated A/FE 1 82, landed with red SHIP-LETTER/A/PAID/FE 20 82/LONDON cds. 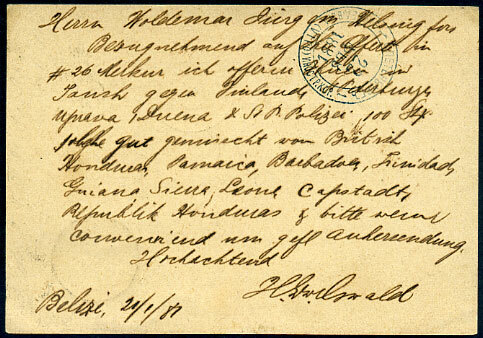 Soiling and with pieces paper obscuring parts of reverse text. 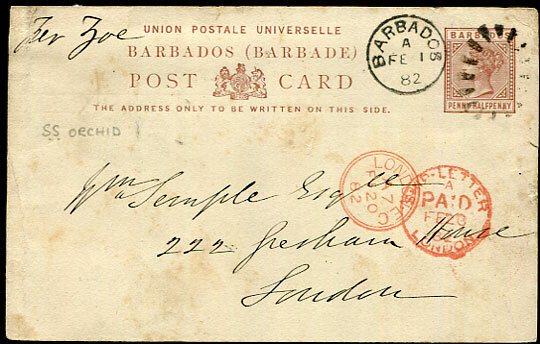 Mail landed by private ship from Barbados to UK ports is rarely met for the later period. During period 1865 to 1886 only six entires are recorded as such, one landing Dover, five landing London. 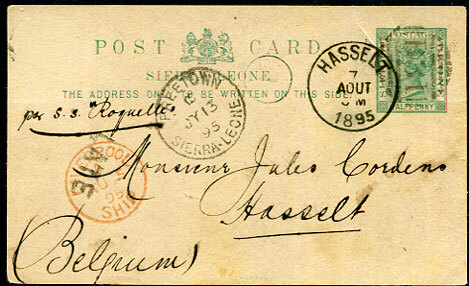 1881 QV 1½d Post Card pmk'd "O" with Belize JA 22 81 cds marked "per S.S. Glendale via England" to Helsingfors, Finland, Russia with red SHIP-LETTER LONDON B/MR 2 81 cds, b/stamped blue St. Petersburg 22 FEB 1881 transit.